The Royal Canadian Mint is now selling a new coin that is in the shape and color of an autumn maple leaf. 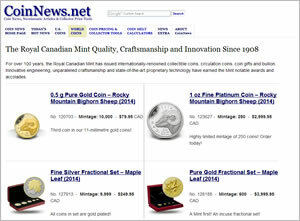 This is the Mint’s second maple leaf-shaped coin. The first one debuted in 2015 and sold out in two days. Struck in 99.99% pure silver to a weight of just over one troy ounce, the collector coin has a mintage of 15,000 just like the earlier piece. The last edition, however, was not in color. 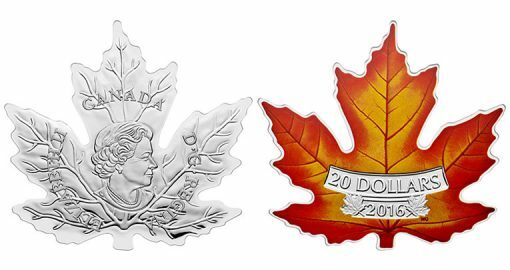 "The wavy, irregular nature of the leaf’s edge and the curved sinuses between its palmate lobes are painstakingly replicated through a labour-intensive process, which gives the coin its distinctive shape," the Royal Canadian Mint describes. "The full application of vibrant colour recreates the brilliant array of red, yellow and orange colours that are famously associated with the silver maple leaf on an autumn day in Canada." Designed by Canadian artist Maurice Gervais, the coin’s reverse or tails side has centered inscriptions of 20 DOLLARS and 2016. Two small maple leaves are inscribed on each side of the year. Obverses offer an inner image of Susanna Blunt’s effigy of the Queen with inscriptions on the leaves of CANADA, ELIZABETH II and D G REGINA. Pricing for the 2016 $20 Canadian Maple Leaf-Shaped Silver Coin is CAD $154.95, or about US $121. 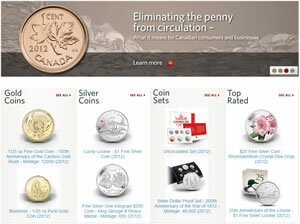 It is available directly from the Royal Canadian Mint at mint.ca. Coins ship in a maple leaf-shaped, dark stained wooden case that has a viewing window in the lid. Ohhh they ALMOST reeled me in on this one!! The first one like this they produced last year is not colorized & is available for US $129 with free shipping from MCM in Sarasota, Florida. Just in case you change your mind! Whoa! Whats this sinuses stuff you are talking about? I missed something here…sounds hilarious though. Your never going to believe this, but I looked at it again and….well you know. The shame . I bought 2! Im getting soft. But I didn’t get anything else from them even though I spent some time going thru the site, just looking. NOW I’m going to have to look at MCM. God save me and the Queen. Her Majesty Queen Elizabeth II does not allow colorization on her effigy on the obverses of UK coins. Smart lady! Awesome, thinking outside the box neat idea! I agree with Ernesto on being expensive. Happy collecting! Too funny! It is a beautiful coin for sure. The quote is from the RCM in this article describing the maple leaf detail design. I felt strange too when I bought my first colonized coin this year (RCM polar bear with blue translucent enamel color) but it sold out the day after I bought it & has increased significantly in value in the secondary market. Plus it is beautiful. I will try hard to keep an open mind on future colonized issues. Afterall, this is meant to be a fun, exciting hobby. Maybe I am having too much fun! I know what you are talking about, about the descriptions these Mint’s write about their coins! Whooo, pretty drippy sometimes if you ask me. I like the look of this coin ( Ok I’m selling myself again.) but I could do without the gigantic wooden box. Now, you know I will be deluged with RCM emails poppin up all over the place again. I noticed it seems about every 2 years I seem to make a purchase from them. So it has been quiet. Ernesto, you are dead right man! Too expensive is the RCM. But once in a while they get me! Again the definition of a coin has been stretched. Try sitting down with this one in your pocket.